P&C Pipeline stock a huge selection of handrail clamps. This ranges from 90-degree elbow clamps to mid-rail corners, and everything in-between. Our clamps are safe and suitable for a vast variety of applications. These handrail clamps are manufactured with ease of use in mind. 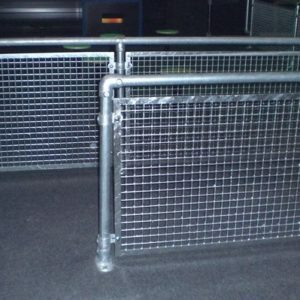 Our aim is to supply you with the best solution to your railing requirements. 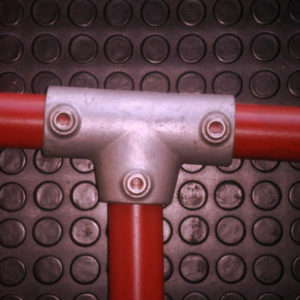 In combination with our metal tubing, our galvanised handrail clamps can be used to create dynamic and stable handrail systems.If you’re looking for key clamp fittings or galvanised tubes, then P&C Pipeline have a large assortment of clamps that we are sure will fulfil your needs. Browse our selection below to find handrail clamps for your building project. Sku: 104 £2.52 – £9.13 Inc VAT. Sku: 116 £2.05 – £6.22 Inc VAT. Sku: 119 £2.00 – £6.61 Inc VAT. Sku: 224 £3.31 – £5.45 Inc VAT. Sku: 125 £1.81 – £6.19 Inc VAT. Sku: 128 £2.54 – £8.81 Inc VAT. Sku: 131 £1.73 – £5.87 Inc VAT. Sku: 132 £2.78 – £8.40 Inc VAT. Sku: 133 £0.20 – £0.38 Inc VAT. Sku: 134 £11.60 – £16.01 Inc VAT. Sku: 135 £2.62 – £11.98 Inc VAT. Sku: 138 £1.74 – £2.08 Inc VAT. Sku: 140 £2.04 – £2.20 Inc VAT. Sku: 143 £2.00 – £3.64 Inc VAT. Sku: 145 £4.72 – £7.10 Inc VAT. All of our handrail pipe clamps are compatible with our handrail steel tubing. Our comprehensive catalogue of handrail clamps means you can build a bespoke handrail system, ideally tailored to fit your particular demands. If you are constructing a handrail from key clamps and pipe, P & C Pipeline offer expert and practical solutions. We are the ultimate experts in all aspects of from key clamps and pipes. We stock a diverse variety of handrail key clamps to help you adapt a handrail system to any space, entrance or railings. If turning corners, incline or steps pose a problem, we have the perfect handrail clamps to solve the issue. Our handrail key clamps ensure handrail joins are secure and allow you to change direction to any angle. The short tee and long tee handrail key clamp makes easy work of adding vertical as well as horizontal metal tubing at important cross sections. The ingenious 45° and 90° elbow handrail pipe clamps enable angle changes, as does the midrail corner handrail clamp. These are just a few examples of how our products can cleverly aid in constructing a handrail from key clamps and pipe. 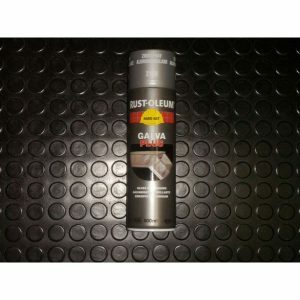 We guarantee quality and high safety standards at all times, as well as value for money and excellent customer service. Please take the time to look at all of our handrail pipe clamps. If you have any questions, please get in touch. Our friendly staff are always happy to discuss your options and advise accordingly.